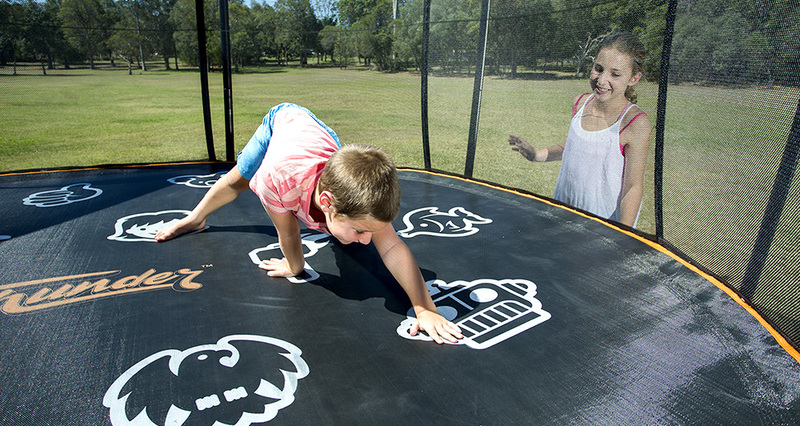 Vuly trampolines offer the perfect platform for an endless supply of high-energy trampoline games. With a little imagination, there are many games to play on the trampoline, especially on the unique Vuly HexVex™ Game Mat. Our fun trampoline games provide hours of entertainment, while motivating kids to get outdoors and stay active. A ball-based game, ‘Bouncing Air Catch’ is perfect for parents who want to get involved in some outdoor entertainment with the kids. A tennis ball is the ideal size for use in this trampoline game, and it's best played with 2 players. Position one player in the centre of the trampoline, with the other player on the outside. The player on the outside starts with the ball, throwing it as high as they can above the trampoline enclosure. The player on the inside of the trampoline must then time their bounce and try to catch the ball while they’re in the air. 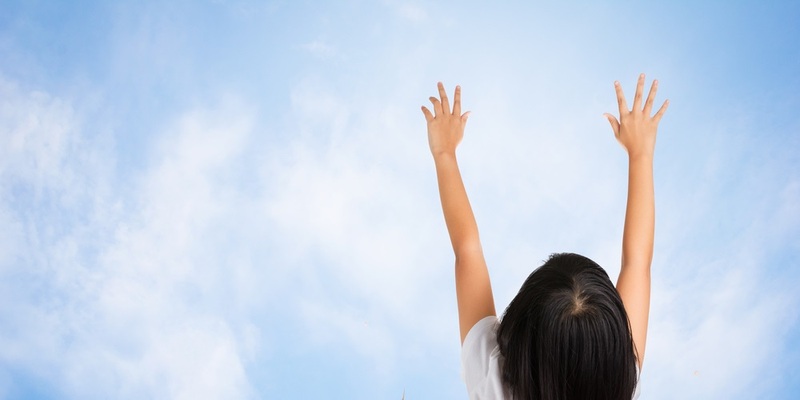 Each ball they successfully catch while airborne is worth a point. Whoever achieves the most airborne catches out of 10 throws, wins! The name gives it away, but this classic game is given a fresh twist thanks to a bouncy trampoline surface! We recommend using a small-to-medium soft ball for this outdoor trampoline game, and it's an ideal game for three players. Position one player on the trampoline — in the middle of the mat — with the two others on the outside of the trampoline. The player in the middle is the ‘Piggy’. The Piggy must bounce while the two outside players begin throwing the ball over the trampoline to one another, with the Piggy attempting to catch it. The two outside players can slowly move their way around the outskirts of the trampoline to try and confuse the Piggy, but they must always throw it over the trampoline. Once the Piggy catches the ball, the person who threw the losing ball is the new Piggy. 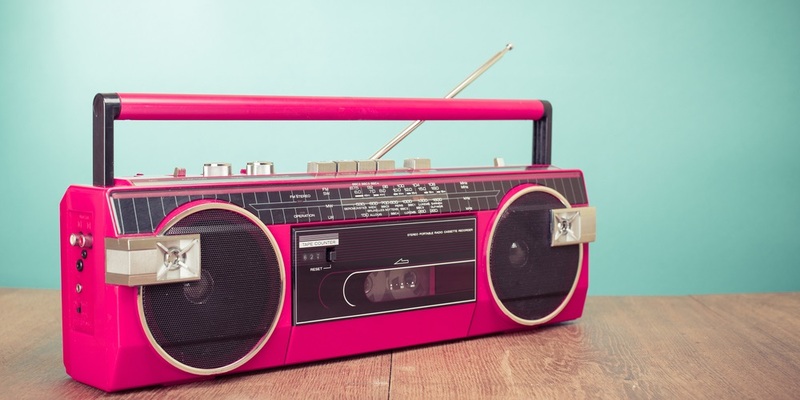 As your kids get a older, they’ll surely develop a bit of a music repertoire! 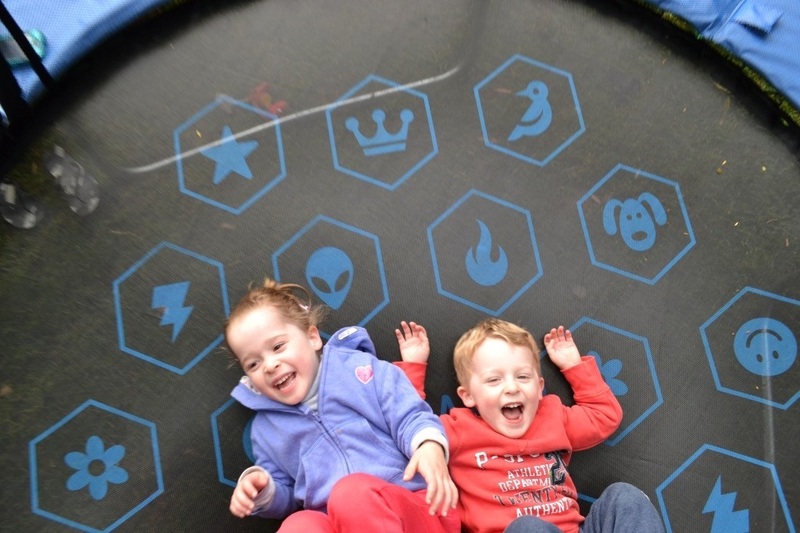 Involving some of their favourite songs in a trampoline game will keep it fresh and fun. It's also great for working up a party atmosphere if they have friends over. ‘Musical Bounce’ is all about keeping the beat; as the song changes, the last one bouncing to the beat is out for the next round. Allocate separate trampoline zones to each contender, and remind players to keep their distance from each other. Play each song from your pre-made playlist for 20 seconds, with each contender slowly jogging around the perimeter of the trampoline in unison. At the 20-second mark, call out ‘Bounce!’ and each contender must bounce on the spot to the beat of the song. As the rounds progress, play the song for less and less time to increase the difficulty. Whoever is the last to be bouncing to the correct beat is out. The winner is the last bouncer standing! A new take on an old favourite game. ‘Trampoline Whispers’ helps improve memory and concentration, and you can play it with multiple players. Choose a player to go first and perform a trick on the trampoline. That player leaves the trampoline, before the next player enters. The second player must perform the first player’s trick, while adding a trick of their own to the sequence. The third player then enters the trampoline and performs the first two players’ tricks, while adding their own, third trick to the cycle. Players continue this process, taking turns to add to the trick sequence. A player is eliminated if they perform the wrong trick or perform it at the wrong time during the sequence. The winner is the player who is left standing by remembering the correct tricks and performing them in the correct arrangement. * Knocked out players can serve as judges to help remember the current trick sequence. All you need is a bag of light, differently-coloured plastic balls, and you’ll be set to play ‘Bird in the Nest’. This game combines treasure hunting, running and throwing — perfect to get kids outside having fun. Select one player as the ‘Bird in the Nest’. The remaining players are ‘Runners’. Designate each runner a specific ball colour. Remove the Runners from the backyard. The bird must hide the coloured balls in garden beds, outdoor furniture, etc. The sneakier the better! Ask the Bird to sit inside the trampoline enclosure, when they're done. Bring the Runners back into to the backyard. When you say, 'Go! ', the Runners must begin their treasure hunt to locate the balls of their colour. Each time a runner locates a one of their coloured balls, they must run it to the trampoline and throw it into the ‘nest’ for the Bird to collect. When the Bird shouts, ‘To the nest!’ (at their own discretion), the Runners must return to the trampoline for the counting. Whoever has the most of their coloured balls inside the nest is the winner. They then become the Bird for the next round. 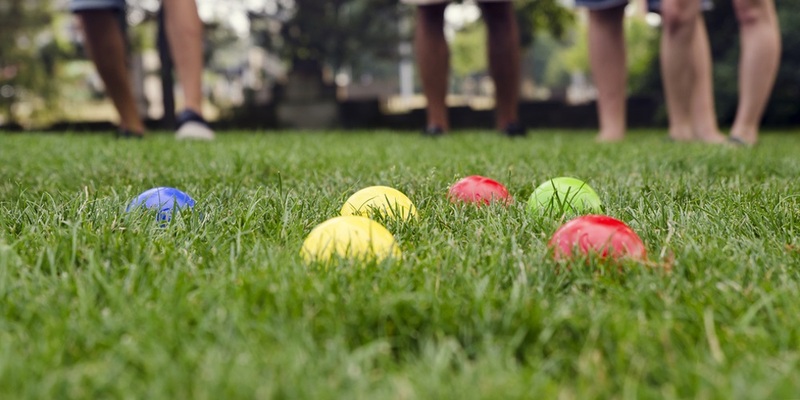 If traditional ball games aren’t really your thing, ‘Poison Ball’ is also a great one to play; it'll get everyone active and jumping – one at a time. Participants take turns being the chosen player inside trampoline. Everyone else throws balls into the trampoline from the outside, and the chosen player must avoid them while jumping. As the balls roll around unpredictably, the chosen player is eliminated if they make contact with any of balls while they bounce. Record each player’s time on the trampoline until they’re out. The winner is the player with the longest bounce time. A team-based game sharing similar traits with ‘Poison Ball’ and combines the elements that makes dodgeball so fun. Divide players into two teams. The first team consists of a single player chosen as the ‘King’, who must stay within the trampoline enclosure. The second team consists of the ‘Attackers’, who must stay outside of the trampoline bounds. Attackers throw soft balls or water balloons over the trampoline enclosure, attempting to hit the King while he tries his best to dodge. Once the King has been hit three times, the Attacker who scored the last hit becomes the new King and the process repeats. The person who holds the longest time as the King is the winner. This one’s a classic! To play ‘Crack The Egg’, three players hop on the trampoline. We won't be doing any bouncing in this game, but it's still best to not have too many on the Jump Mat at once. Don't forget to make sure that an adult is always supervising! Choose one player to be the Egg. They sit in the middle of the trampoline with their knees drawn up to their chest and their arms around their knees. The other two players stand around the edge of the trampoline and push the Jump Mat up and down with their legs. The goal is to make the Egg player ‘crack’– releasing their arms from around their legs. Players take turns as the Egg, with the winner being whoever can stay uncracked the longest. Let your toddlers or primary schoolers run amuck in the safest environment. This one is more of an activity than a competitive game; it’s all about spending time with your little one. Get into your trampoline enclosure with your child. With you sitting off to the side, and your child in the middle, start blowing those bubbles! Try blowing the bubbles in all directions, and having your child pop as many as they can before they float onto the trampoline base. Give them a go at blowing bubbles themselves! The cleaning-up is simple – a quick hose down will remove any residue. A jar, with a lid. Combine warm water and sugar until it has dissolved. Stir in the glycerin until combined, and then gently stir in the dishwashing liquid. Mould your wire or pipe cleaners into bubble wands. Store the solution in your jar, and remember to gently stir the liquid before each use. Looking for even more fun games to play on the trampoline? A huge range of trampoline games become open to you when using your Vuly HexVex Game Mat – including a spin on an old classic. Two players start the game by standing in the center of the trampoline Jump Mat. A third player is designated off the trampoline to act as the referee. Both players on the trampoline must try to follow the referee’s command – putting that body part on the called-out icon – without falling over. The winner is the player who stays up for the longest. This is the perfect short and sweet Vuly trampoline game to test out memory and coordination between two players. Players start on the edge of the trampoline and face each other. The first player begins the game by calling out the name of an icon and jumping to it. That player continue to bounce to a new icon and call out its name until they have done this five times. The second player must mimic this sequence by bouncing to and calling out the same icons completed by the first player in order. If the second player correctly mimics all the icons chosen by the first player, they win the game. Have fun with the various HexVex™ icons as players attempt to target the correct one as they land from bouncing. Players take turns starting in the middle of the trampoline Jump Mat. The first player jumps up and down, nice and high, while remaining in the middle of the trampoline. While going up on the third bounce, another player calls out an icon. The bouncing player then must try and land on the icon that was called out. If they are successful, they stay on the trampoline and – after another three bounces on the current icon – a new icon is called out for them to target while landing. The player who gets the most consecutive correct icon landings is the winner.